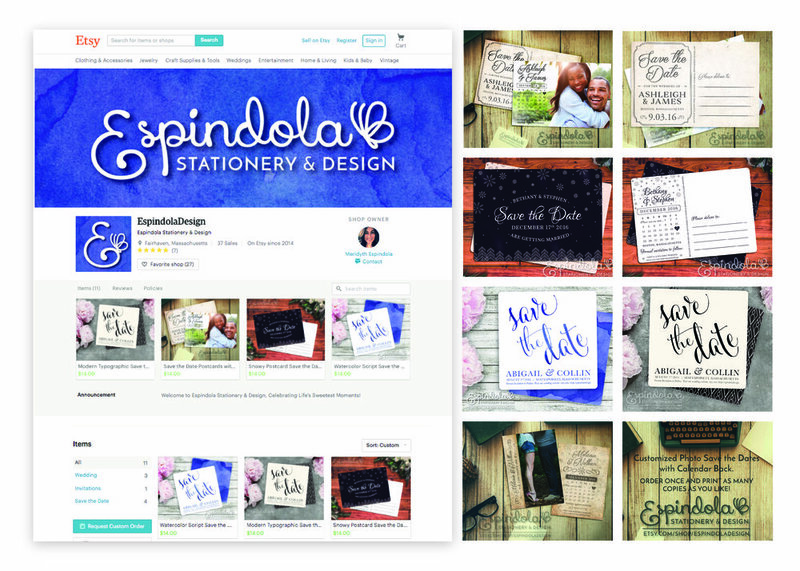 This is a logo I designed for my Etsy shop, Espindola Stationery & Design. I wanted a balance of whimsy and sophistication, which is what determined by typographic decisions. The butterfly is an important symbol to my family, so it was something I wanted to include for a company sharing my family name. I chose a linear quality for the butterfly with the same line width as the text to stay consistent with the typography.